McLean, VA, June 13, 2016 — Corcentric™, a provider of cloud-based financial process automation solutions, announced it will host a free webinar, “Five Reasons E-invoicing is a Winning Strategy,” on Wednesday, June 22, 2016 at 2:00 PM ET/11:00 AM PT. This event is designed for accounts payable professionals looking to realize the power of an e-invoicing capability and the need to build a strategy that benefits organizations and well as their suppliers. The five reasons that attendees will learn about are the business drivers impacting adoption, more effective enabling technology, the need to move to supplier-friendly models to reduce fees, the governmental mandates to adopt across North America, and environmental issues that desire ending the mountain of paper. These reasons make up the key business case for further automating processes for AP departments end-to-end. 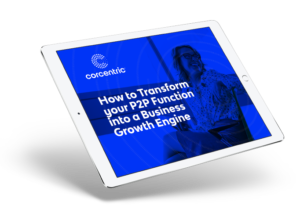 Visit https://www.corcentric.com/resources/5-factors-growing-e-invoicing-demand/ for additional information on this webinar event or to register.